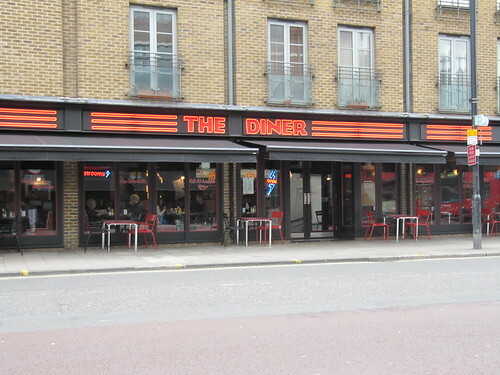 We were in search of the perfect pancakes so we decided to inspect The Diner in Angel, Islington. The filter coffee is just what my doctor ordered. If you come early, and stay long enough, you can start with breakfast, end with lunch, and have dinner for dessert. 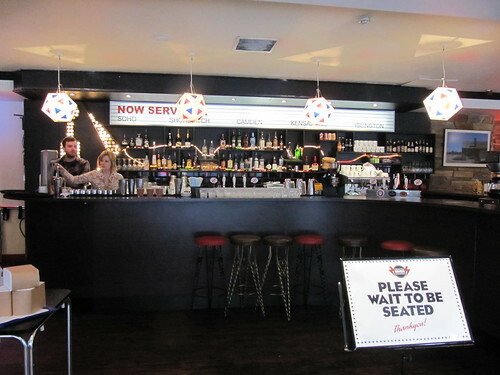 They’ve got locally brewed beer on draught (I recommend the Camden Town Hells). Unfortunately, we should have ordered something other than the pancakes. They just aren’t right. I wish they would let me come in and fix them. In no time there would be a line down the street to get in every weekend. Next time I think I’ll have vegetarian huevos rancheros or a veggie burrito, but I haven’t given up on The Diner completely. Looks more like a french crepe than a pancake! 🙂 Have you tried “My Old Dutch” ? Thanks for reminding me of that one! 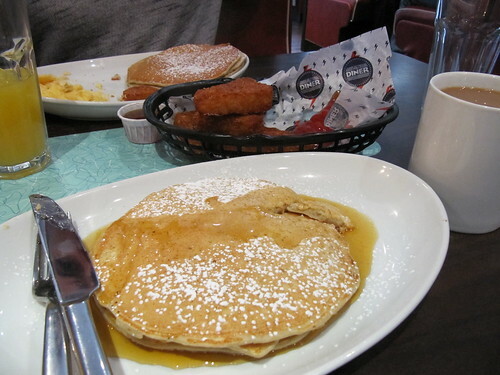 Those pancakes are yummy, but they are nothing like Granny makes… Won’t we need a new address for you soon? !